Posted on September 3, 2008 by Michael SpechtPosted in Branding, Communication, RecruitmentTagged Angela Foskett, erecruitment, optus, pageup, virgin mobile. 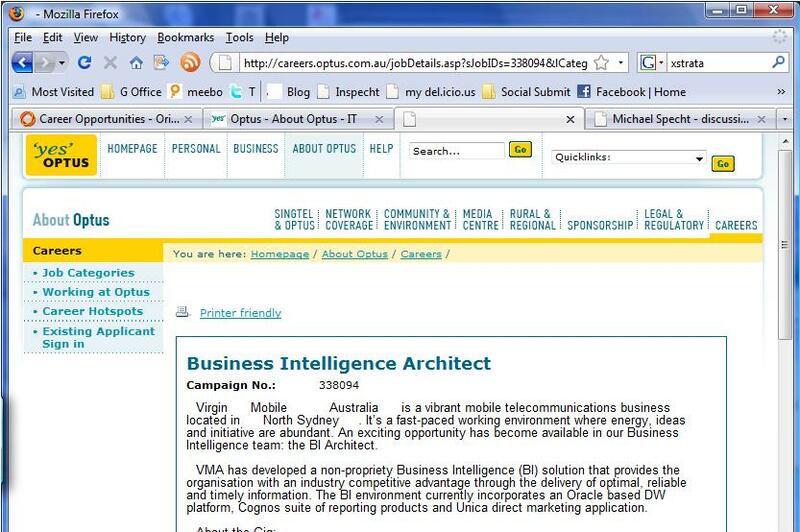 Since Virgin is wholly owned by Optus, which is owned by SingTel, its one way of ensuring that a candidate is aware of the parent child relationships. So what may look confusing is actually a great way of raising awareness and testing a candidates resourcefulness in researching the company background. pk true however I find it very interesting that Virgin was quoted earlier this year about how important their individual brand is and then to have the jobs branded as Optus.